We love our moms for so many reasons, but high on the list is all those wonderful qualities that make her like no other mother out there. Because our mom is in a class all her own, it’s fair to say that one size does not fit all when it comes to the perfect Mother’s Day getaway. Whether your mom loves music, sports, spas or wine, there is a perfect place to take her. Here are a few ideas to get you started. Oregon’s famed Willamette Valley wine region begins just 30 minutes from downtown Portland, and is the perfect place to celebrate mom while still having a city as a home base. Take a day trip to the Pinot Noir–producing area and try exploring by bike, hot air balloon or limousine, or opt for a guided tour of the city’s many urban wineries, such as SE Wine Collective and Enso Winery. 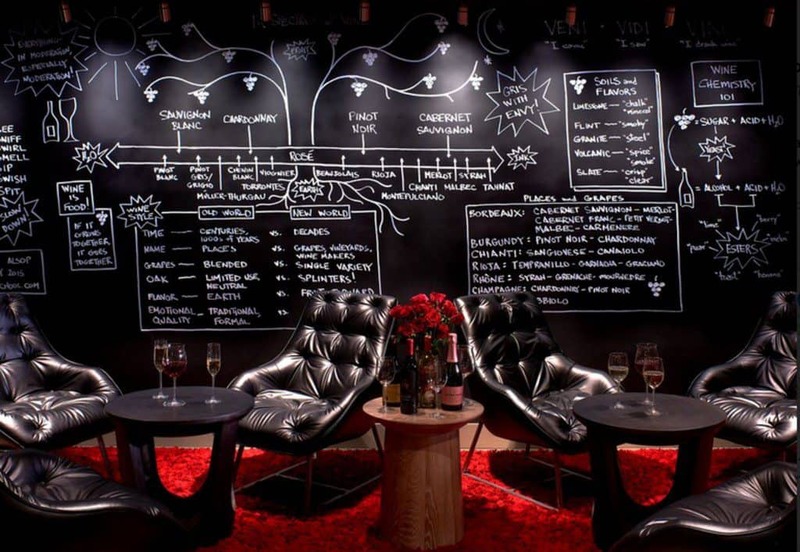 As a guest of the wine-inspired Kimpton Hotel Vintage Portland, the front desk team can arrange for free or discounted tastings and tours. Winery partners also pour at the hotel’s hosted social hour every evening, so a couple nights at the hotel can provide a wine country experience, without leaving the lobby. While in Portland, take mom to one of the city’s beautiful gardens, including the International Rose Test Garden (which gives Portland its nickname Rose City) and the recently remodeled Japanese Garden. Continue with the wine theme and book a paint-and-sip class with Bottle & Bodega (just blocks from the hotel), so mom can take home a crafty memento you guys made together with love—and wine. They call it mom juice for a reason, right? Spread across 900 acres of rainforest near the base of Costa Rica’s Arenal Volcano, Tabacon Thermal Spa features hot springs and cascading waterfalls naturally heated by the volcano’s magma and outdoor spa bungalows where treatments are rendered to the sounds of rushing streams and local wildlife. 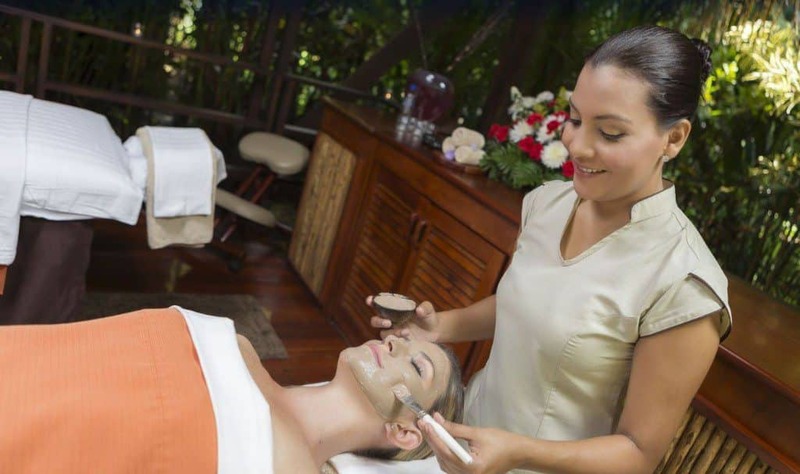 Spa-loving moms can opt for the signature Tabacon Massage that uses mud from the Volcano to smooth and restore skin, treatments that use local ingredients such as coffee and cacao, or even the resort’s new Kapi Kapi Massage that uses their signature proprietary craft beer. When not blissing out, mom can unwind with rainforest yoga, soak in the resort’s 100% natural hot springs, or get her adrenaline pumping with local adventure activities. 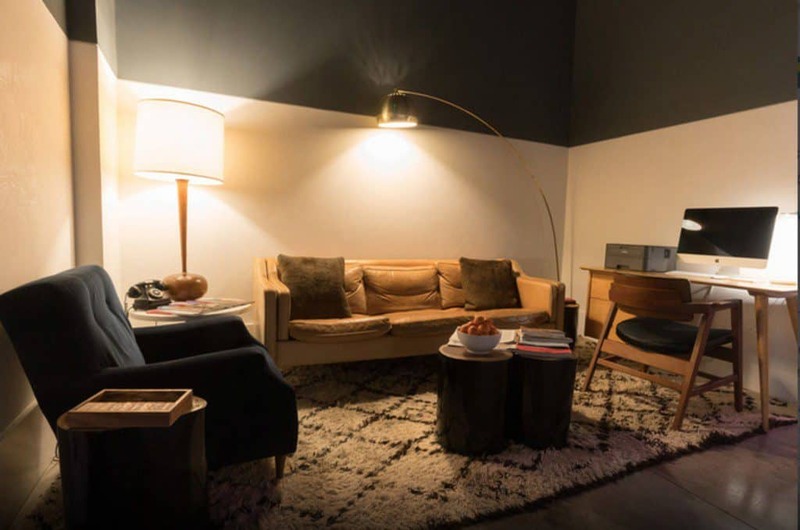 The 404 Hotel in Nashville is a charming, four-room boutique hotel offering invisible service (where things like check-in are automated), right in the heart of the Gulch, Nashville’s hottest neighborhood. It’s great for the mom who is looking for some quiet time to rest after enjoying Nashville’s stellar food and music scene. Take mom to brunch at Nashville’s newest restaurant, Pemrose, which offers some of the best seafood options in town, and is within walking distance of the hotel. Check out a live show a the iconic Station Inn, one of Nashville’s most celebrated venues for live music and just steps from the 404. Then, enjoy innovative craft cocktails at either Gertie’s Bar or rooftop at L.A. Jackson located inside the Thompson Hotel. Before hitting up a honky-tonk, go boot shopping at Lucchese, boot-maker to some of country music’s most famous stars. The Daytona is Daytona Beach’s newest hotel, opening its doors directly across from the speedway where NASCAR hosts its famous races. Vintage show cars are displayed in the second floor lobby, along with wall projections that tell their history. 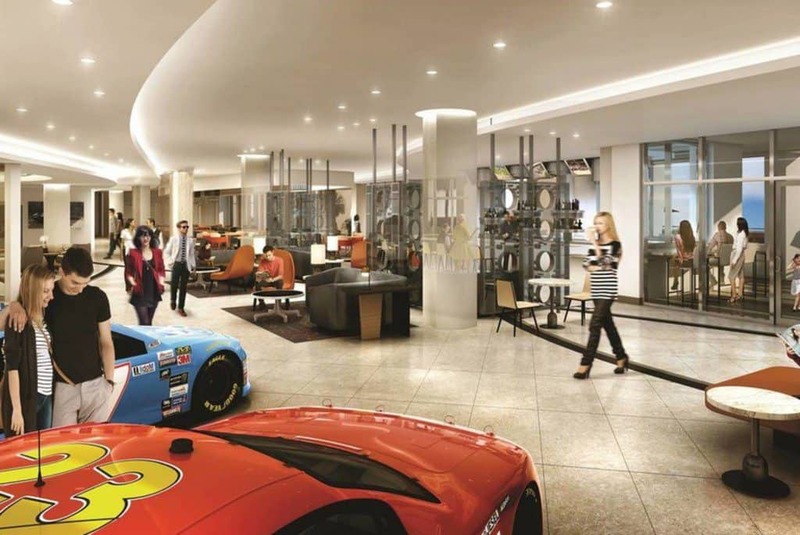 The lobby also features a check-in desk with a giant rotating wheel in the ceiling, walls lined with vintage odometers and vehicle blueprints, and sleek finishes with black leather touches that evoke the tracks of the speedway and its NASCAR and motorcycle events. Onsite bar Blue Flame boasts moonshine cocktails, sixteen craft beers on tap and an outdoor terrace that overlooks all the action at Victory Circle. The Daytona is perfect for moms who want to channel the thrill of the race track, experience the destination’s famous beach driving (the ONLY beach in Florida where the activity is legal), surf some of Florida’s best waves, or simply relax with the family and enjoy local boardwalk amusements. Motherhood is an exhausting full-time job that leaves little time for guilt-free partying. What better way to celebrate your mother than by treating her to a glam getaway at the Dream Hollywood? 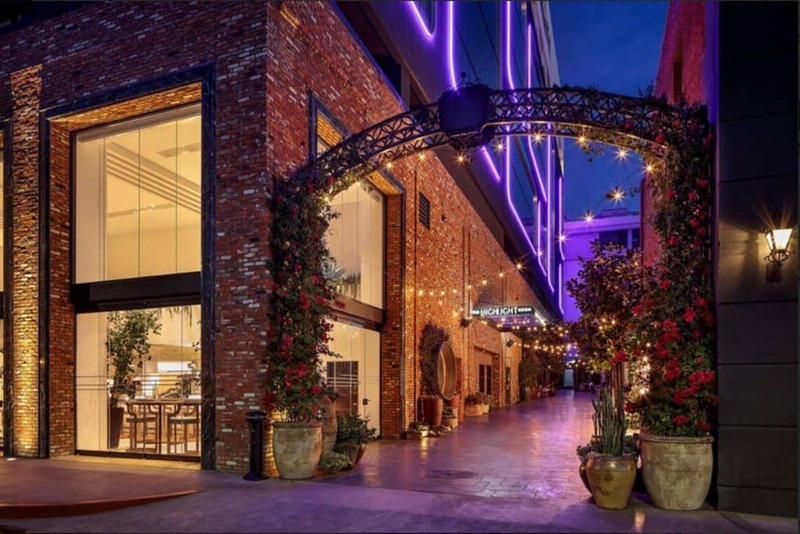 This adults-oriented La La Land hotel in the heart of Hollywood offers the ideal location for moms looking to let loose with friends and enjoy a fun-filled vacation away from the kids. The slick space offers Instagrammable spots at every turn, a rooftop bar with stellar city views and see-and-be-seen dining and lounging at Tao Asian Bistro and Beauty & Essex. In short, it’s perfect for the mom who needs to let loose for a couple days. For the mom who loves to be one with nature, try an an authentic retreat at The Lodge at Wakulla Springs in the Florida Panhandle. Reminiscent of Old Florida, Wakulla Springs is home to of one of the largest and deepest freshwater springs in the world. 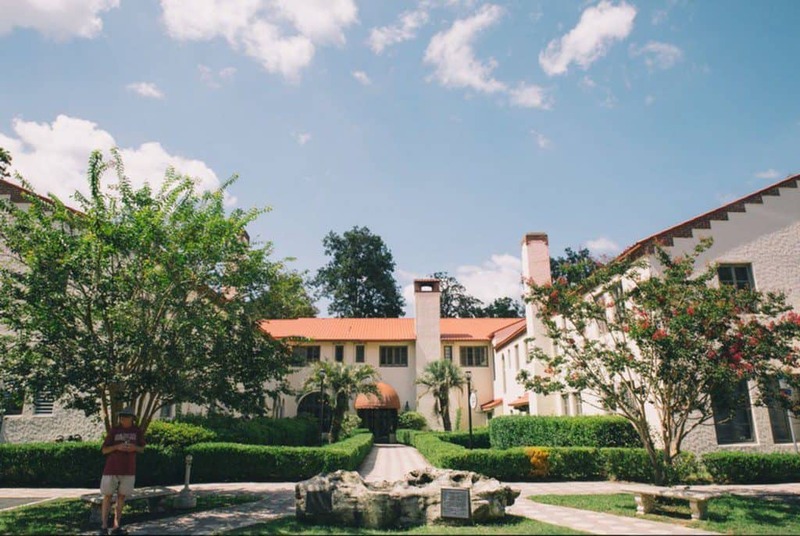 Mom will love the 1930s Spanish-style lodge with its period furniture, original elevators and colorful hand-painted ceilings that depict Florida wildlife. Opt for a jungle boat cruise to experience up-close alligator encounters, spot rare birds, and watch lovable manatees float idly past ancient Cyprus trees. If you’re both feeling daring enough, dive into the spring’s brisk sapphire waters (found at a constant 70º year-round). 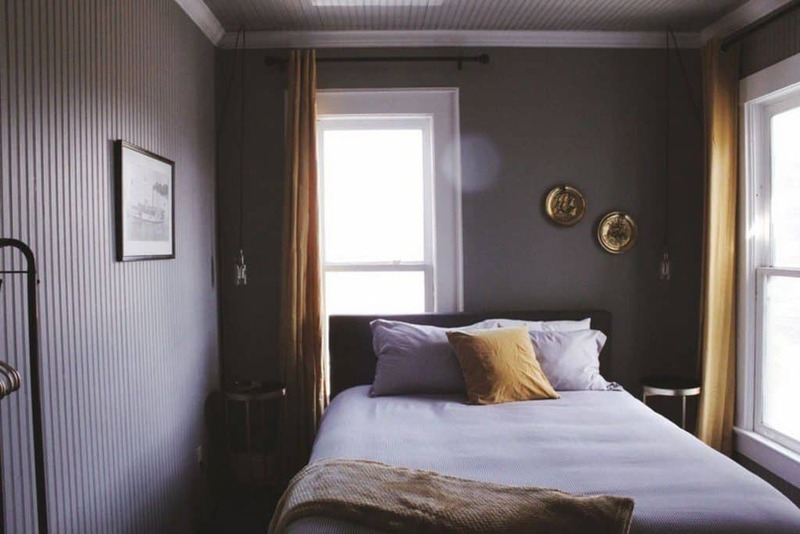 The coastal Shelburne Hotel is the oldest, continually running hotel in Washington State. It originally opened in 1896 and under new stewardship, still stays true to its roots. Its historic and vintage style includes many original features in every room (original clawfoot tubs, stained glass, etc.). It’s the perfect location for a mom who enjoys the thrill of finding antique treasures, thanks to the great local antique shops that are within driving distance. A few worth checking out include North Coast Antique Mall where one can easily lose an entire day; Bay Traders Long Beach, a local favorite and widely considered a hidden gem of antiquing; and Vintage Hardware, a little further away across the Oregon border but worthy of a whole afternoon of exploring. From the European-style continental breakfast to the free wine and cheese happy hour on the veranda, Zero George Street in Charleston, South Carolina, is perfect for the mom who loves to play around in the kitchen. 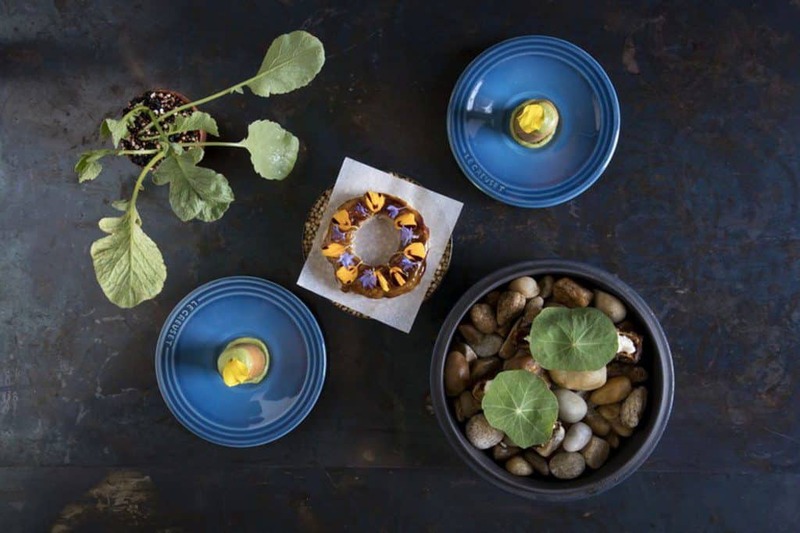 On property, there’s Zero Restaurant + Bar, an innovative and seasonally driven tasting menu concept led by Chef Vinson Petrillo. The (tiny!) 140-square-foot restaurant kitchen doubles as the hotel lobby, so guests checking in get a behind-the-scenes glimpse into the restaurant’s stunning presentations. Zero George also offers cooking classes with Chef Petrillo; they’re hosted in the 1804 kitchen carriage house, where guests participate in an intimate, interactive experience to learn about technique and flavor composition over a three-course meal. 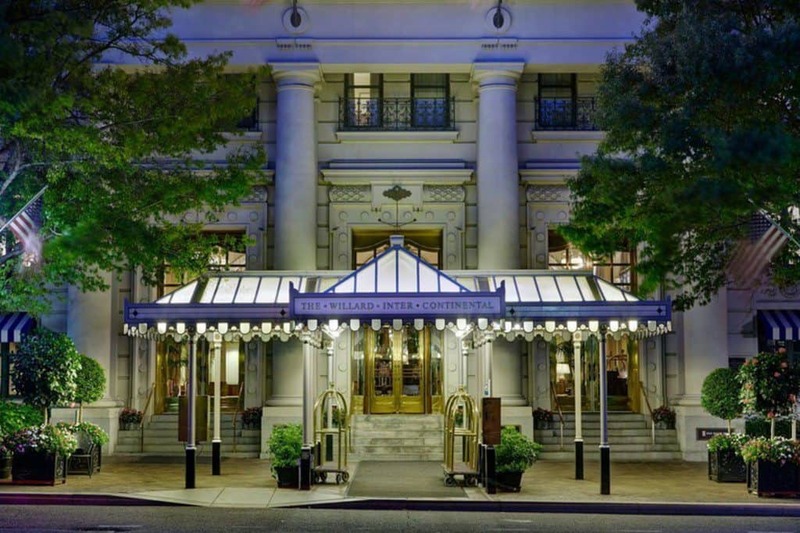 In addition, the hotel is within walking distance of many of Charleston’s most acclaimed culinary destinations, including FIG, Charleston Grill, 167 Raw and more.